50 x 100mm heavy-gauge flat oval steel tubing. Heavy-duty molded PVC foot guards, non-slip contact with the floor and protect flooring surfaces from damage. Black painted steel weight plates with self aligning low friction sleeves. Magnetic color coded pin with Coiled lanyard. 5mm coated steel cables provide smooth, secure performance. Quick release seat adjustment levers and numbered positions enable easy position adjustments. Seat adjustment levers are color coded for quick identification. Full-length front and rear shrouds keep hands and dirt out of the weight stack area. 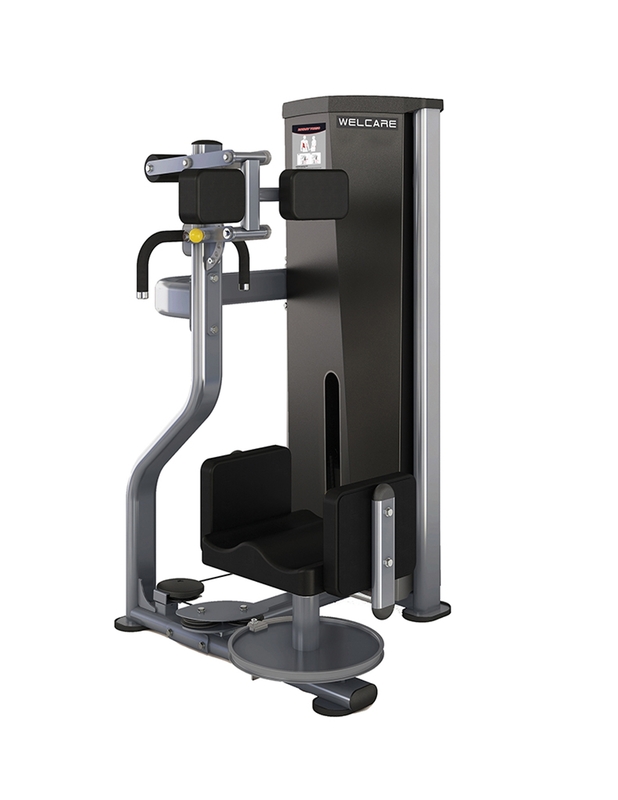 Conveniently be viewed from a seated position, offer a quick reference to targeted muscle groups and proper machine use.